Scientists at the University of York have found a way of distinguishing between fatal prostate cancer and manageable cancer, which could reduce unnecessary surgeries and radiotherapy. A recent study showed that more than 25 men were being unnecessarily treated with surgery or radiotherapy, for every single life saved. It is believed that success rates could be hindered as a result of treating all prostate cancers in the same way. 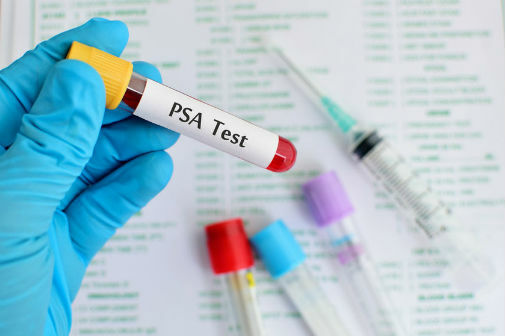 A team at the University of York and the University of British Columbia, Canada, however, have designed a test that can pick out life-threatening prostate cancers, with up to 92% accuracy. Professor Norman Maitland, from the University of York’s Department of Biology, said: “Unnecessary prostate treatment has both physical consequences for patients and their families, but is also a substantial financial burden on the NHS, where each operation will cost around £10,000. It is now understood that to find the different levels of cancer, scientists have to identify genes that have been altered in different cancer types. The team analysed more than 500 cancer tissue samples and compared them with non-cancer tissue to search for patterns of a chemical group that is added to part of the DNA molecule, altering gene expression. A person’s age, what they eat and how they sleep, for example, impacts on chemical alterations to genes and which ones are turned on and off. This is part of the normal functioning of the human body and can tell individuals apart, but the process can sometimes go wrong, resulting in various diseases. Professor Maitland said: “In some diseases, such as cancer, genes can be switched to an opposite state, causing major health issues and threat to life. “The challenge in prostate cancer is how to look at all of these patterns within a cell, but hone in on the gene activity that suggests cancer, and not only this, what type of cancer – dangerous or manageable? The team needed to eliminate the ‘noise’ of the genetic patterns that make individuals unique, to leave them with the patterns that indicate cancer. They were able to do this using a computer algorithm, which left the team with 17 possible genetic markers for prostate cancer. Dr Davide Pellacani, who began these studies in York, before moving to the University of British Columbia, said: “Using this computer analysis, not only could we see which tissue samples had cancer and which didn’t, but also which cancers were dangerous and which ones less so. To take this method out of the laboratory, the team are now investigating a further trial with new cancer samples, and hope to involve a commercial partner to allow this to be used for patients being treated in the NHS. The research, published in the British Journal of Cancer, was funded by The Freemasons of the Province of Yorkshire (North and East Ridings) and The Masonic Samaritan Fund. Yorkshire Cancer Research; Prostate Cancer UK; The British Columbia Cancer Agency Strategic Priorities Fund.